Are you struggling to cope with loss? 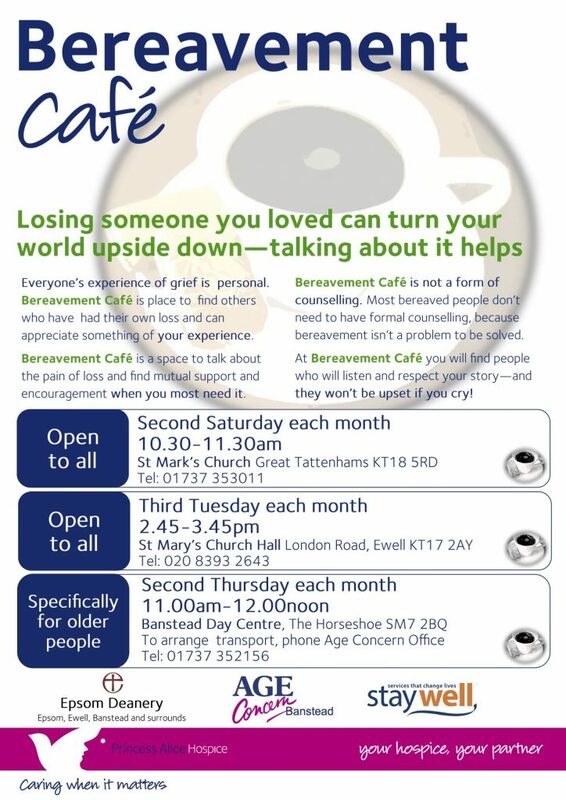 Bereavement Café offers a chance to meet with others who understand the experience of loss. Bereavement Café is a space to talk about the pain of bereavement, and find mutual support and encouragement, when you need it most. The café is supported by churches across Epsom Deanery and by Princess Alice Hospice who have provided training for our volunteers. The café is open to all, regardless of church membership or faith.